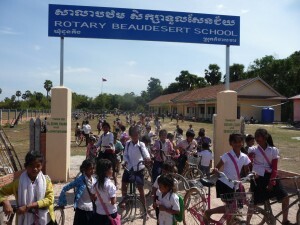 Our – EducatingCambodia – School related projects in Cambodia are registered with ‘Rotary International’ through the ‘Rotary Foundation’ as Project number 70656. The Rotary Club of Beaudesert in Australia is our home Rotary Club. – everyone who has been with us for a long time -and ‘Hello’ to you if this is your first look at this website. Some of you have given thousands of dollars AND hundreds hours to OUR children and their families and some of you are brand new!… (you can browse through this website easily and see all the stories, developments and issues). John. We need three new classrooms. and you can be a BIG part of OUR next big step forwards. Read through to the end of today’s post to get clear, complete details – including my current direct email address and phone numbers in both Cambodia and Australia – and my travel plans for contacting me..
Basically, we are the happy victim (temporarily we hope), of OUR success. The children so far are aged five to fourteen or fifteen with many older children when we first started in an attempt to ‘cram in’ their missing years of schooling. There is also the occasional exceptionally keen and ‘bright’ four year old. Student numbers have risen evenly and gradually since we started out with one building and 300 students in late 2008. We added classrooms twice – plus we added a ‘clinic’ building and a teachers’ accommodation house. 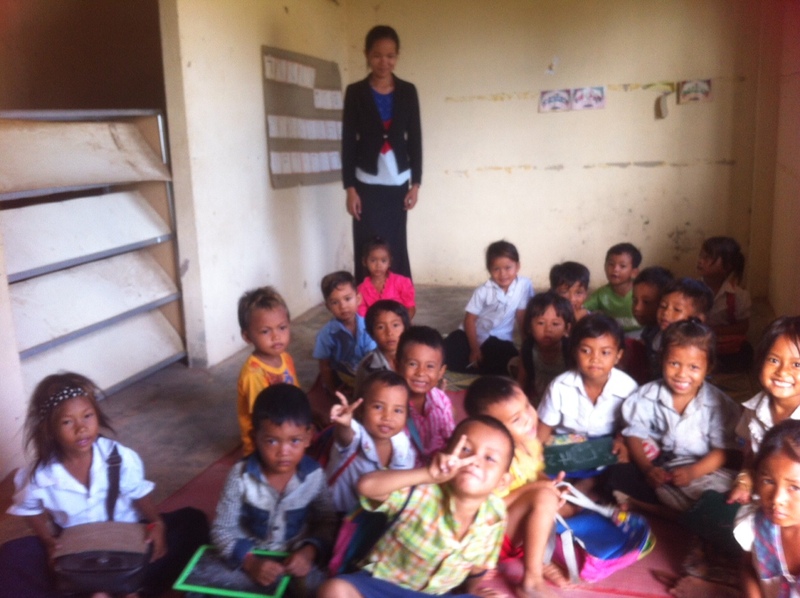 Three months ago we gained another 320 children overnight from a Charity School some distance away which became no longer approved by the Cambodian Government. We are a perfectly straightforward Cambodian (Khmer) School and we will always stay ‘approved’. …. The teachers’ accommodation house – furthest building from the swings named ‘Chez Hilary and Roy’ after our French donors. ‘Chez Hilary and Roy’ has been needed for teacher accommodation just once, briefly, and for several years now has been happily used as office space and for storage. …. …. You can see from some of today’s photos that ‘Chez Hilary’ HAS become a ‘Pre-School’ classroom! This is the EMPTY front room of the teachers accommodation house (Chez Hilary) We have, now, employed the teacher, Sok Sreyleuk ,and there are photos of Sok Sreyleuk both in her empty room and me paying her a salary. Chairs and tables are also paid for and yet to be built and I brought her a whiteboard from Phnom Penh two weeks ago. We currently have 1340 children enrolled. 4yrs – 14years of age. Paying Sok Srey leuk our Pre-school teacher – with me and Sok Ken our senior teacher… ..and then coffee with the village leaders. 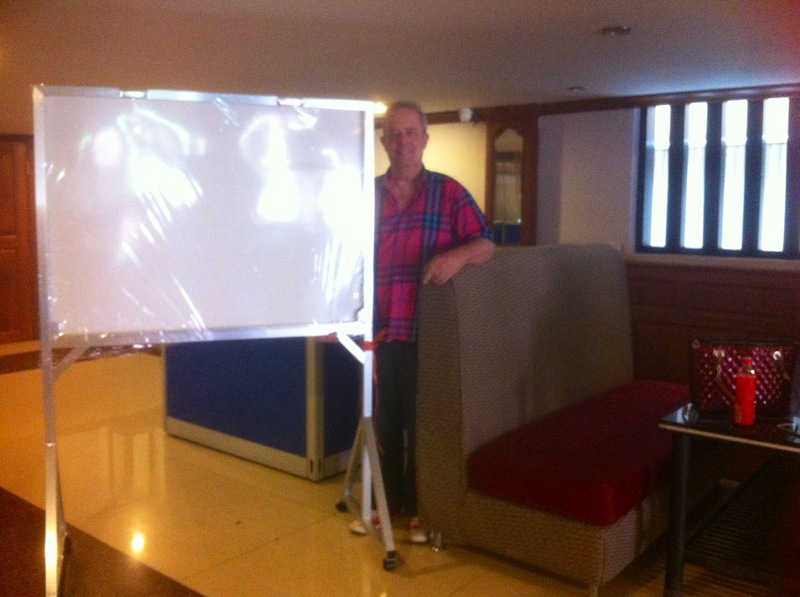 As you can see there is also a photo of me with a whiteboard .I was ready to transport it and more equipment from Phnom Penh back to our villages for the pre-school. This all shows that our schools are very popular – but with HUGE class sizes!! – up to 100 students per classroom in two shifts with completely different groups of Children morning and afternoon. So……this is The Fund Raising Launch – TODAY -now! – NEW 3 CLASSROOM BUILDING – just like the other two in Chuor Ph’av (our main campus) and the one in Prey t’Baing – ‘Antibes School’. 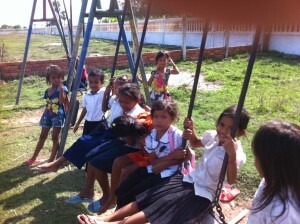 We will relocate the UNICEF swings and slide (with additions) to the other end of the campus (gate end). The new School Building will be where the swings currently are. You can see the swings from two vantage points. OK, let’s squeeze in another swings photo.. The building will be at right angles to the row of classrooms and exactly where the swings currently are – and will be our urgently needed three room building. Each room will be ten metres by ten metres. The photo is of Eva and Roland who,will be reading this in France in their Antibes home. THIS SECTION ON WHO BUILDS THE SCHOOLS (!) WAS EDITED IN (inserted) on September 07 2016. 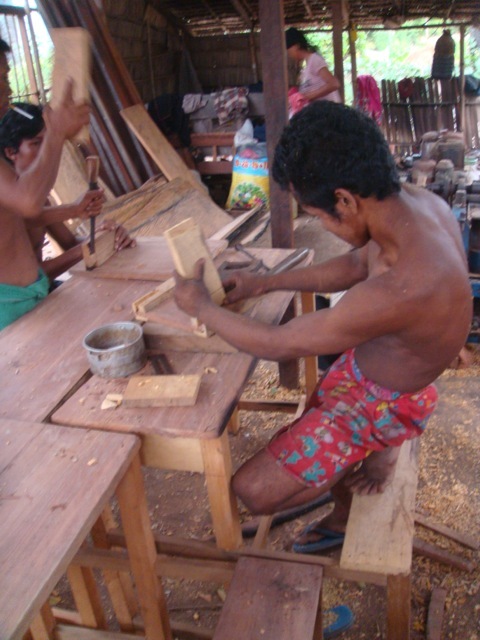 It includes three photos of villagers building our schools and making desks. From the beginning in 2008 the villagers themselves, the FATHERS and MOTHERS of our children and where possible, the children themselves have done all the work. 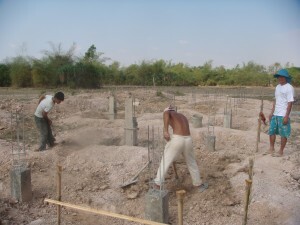 Across our schools ‘feeding villages’ we have four dads who are builders and understand plans. All the desks are made by teams of mums and dads in and under and in their own little homes. The villagers sense of OWNERSHIP is total .AND indeed that ownership is realistic because we GIVE, 100%, the Schools, to the community. The schools are on community land and they are owned by the community. We pay our lead builders and they in turn pay all their workers – dozens of them. Labour is by far our smallest budget item. Big foundations, strong columns and beams all hand reinforced and hand filled with concrete. hand made boxing for the steel reinforcement and then hand filled with hand mixed concrete. All bricks are made locally from Mekong clay, tiles the same and sand and rock and stone – all sourced and bought locally. 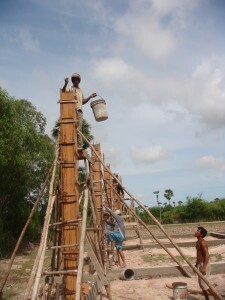 We have offers of volunteer workers from both Australia and from the Cambodian capital city, Phnom Penh. The Australian volunteers would require accommodation and food not to mention their own airfare costs. What WE GET is excellent work completed and with a HUGE HUGE sense of achievement and ownership of their childrens’ Schools. ALL WORK IS DONE BY MUMS AND DADS. Please help us with the one thing they haven’t got – money for the essential purchases like wood and concrete etc. as per this fund raising campaign for a three room strong long lasting building. The Cost – and When? We hope to start building within six months from now. US$26,000 is required for the building. (a further US$4000 will be needed to equip the rooms ready for teachers). 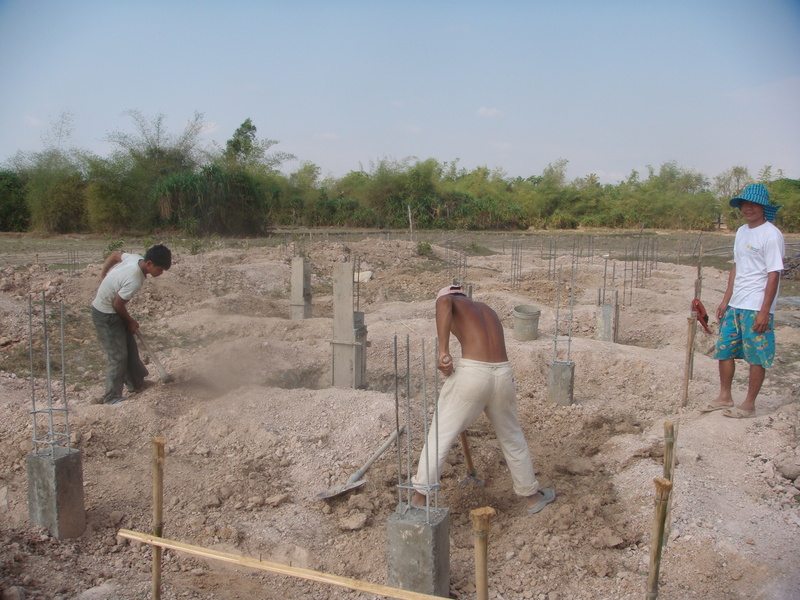 We will start BUILDING as soon as we have the US$26,000 – building money. …. Then we can start building. We will then raise the money to equip the three classrooms – US$4000 total..
We will display the names of all the DONORS on THE BUILDING ITSELF. You will, in all senses, be part of the future of OUR children. 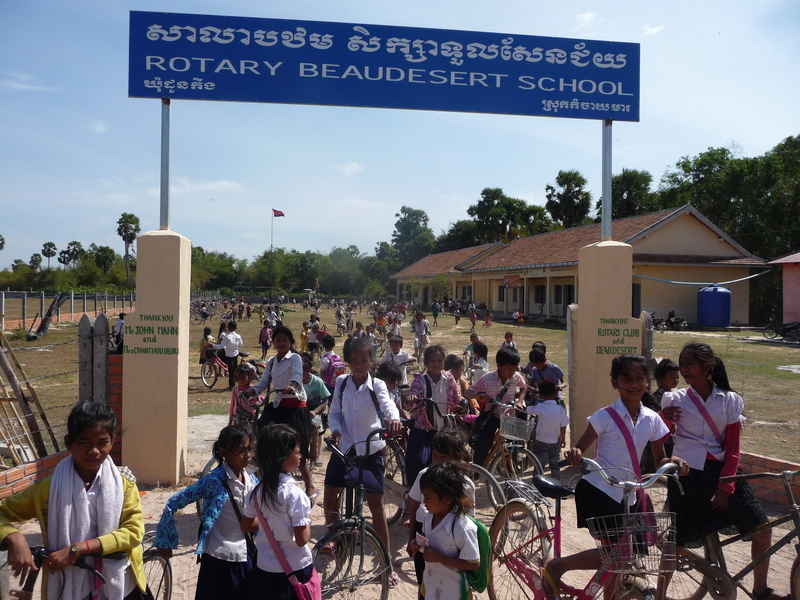 Our Schools are a project of ‘EducatingCambodia’ – Our Schools are an approved project of Rotary International (Rotary Foundation) – through THE ROTARY CLUB OF BEAUDESERT. This all means that within Australia, all donations are tax deductible; from Europe, the UK and the USA I am not so sure but I must say that from our experience most people have less interest in tax deductibility so long as the donation – 100% OF IT (!!!) goes to the right place. As you know, after eight years of operation, 100% of your donation goes to YOUR target. 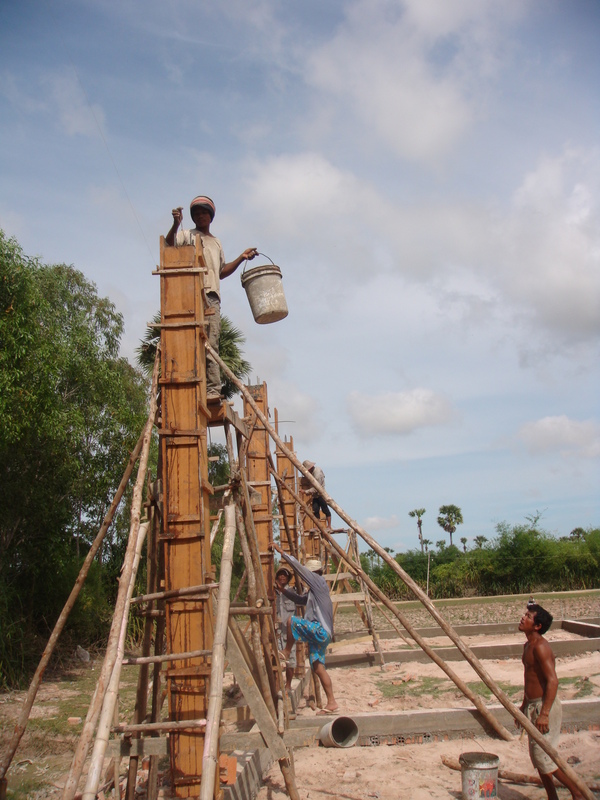 We employ no one other than Cambodian teachers and in this case – Cambodian builders. For Australians PayPal might be particularly useful. (click on DONATE to the left of your screen for easy instructions). (good friends in the UK also use PayPal successfully). 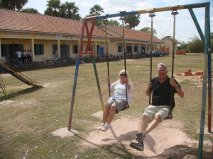 If you don’t care for PayPal, EMAIL ME directly on john@educatingcambodia.com for bank transfer details both internationally and from within Australia. We use the ANZ Bank (Australia New Zealand) in both Australia and in Cambodia. (There are even ANZ cash terminals in Cambodia!) so reducing costs further. Phone numbers and my travel dates. Right now, September 2016, I am in Australia and my phone number is always +61 406875120 . I return to Cambodia and the villages on November 22 (2016) and my phone number in Cambodia is always 855 92880006 .Phone me anytime and we can talk through anything – money methods, worries, ideas, anything. We would love to see you in OUR Guesthouse! 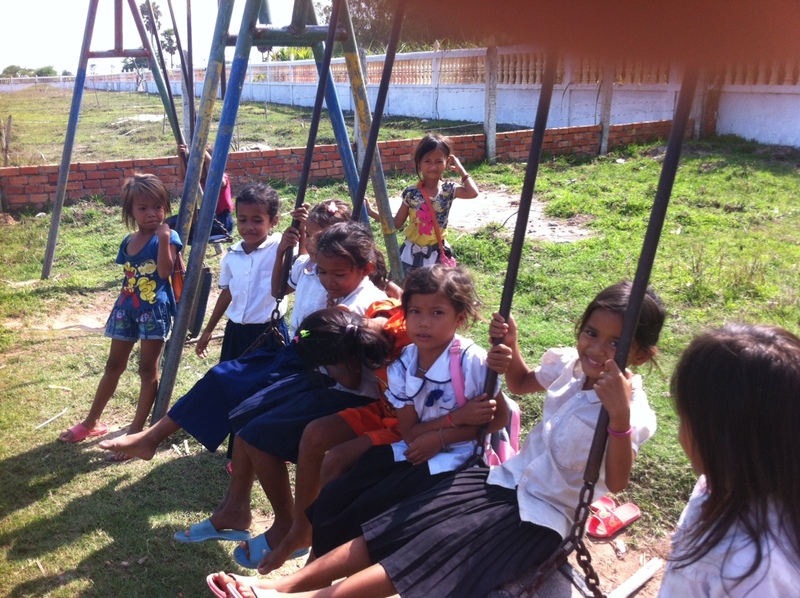 – We need English speakers to help at the School. You certianly don’t have to be a qualified teacher but we do need enthusiasm. Any age is fine. – We would love to see Gap Year Students or students who could spend time with us as part of their studies or Degree. – I am in talks with a London Drama School right now who are considering sending students who will not only STAY in the Guesthouse but will use the Ground floor and upper floor for REHEARSALS and hopefully involve our locals or the children. – Please, give it some thought – you just might know someone or some people who would be interested. – We also very much need NURSES or DOCTORS or Student Nurses or Medical Students –anyone in the medical fields; Dentistry, Physiotherapy. Community Arts Workers would be good – musicians… it could be a big list; they would stay with us and help in any way they can – helping our children, our old people and large numbers of undiagnosed sick people!! – We need people, particularly from the worlds advanced countries, to make friends with individuals and families and advise them on health, hygiene and nutrition. You will be AMAZED when you realise what you know compared with intelligent people who know very little! – WE are TEACHING them slowly but surely. …… I’ll give you an example – If you don’t own a toilet it is a bad idea to squat down next to the well or water bore to do your toilet … and then using mime, simple language, books and pictures, explain WHY! As old friends and regular readers of these posts will know, we have very VERY little health care available so any help, however limited, is good. 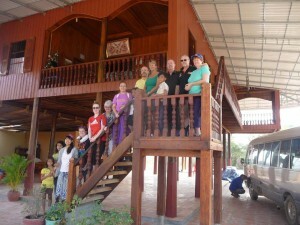 Lots of members of The Rotary Club of Beaudesert at OUR Guesthouse. Its a BIG place – that’s our bus parked under the awning! – As with ALL Schools in poor places you have to pay to help (we can’t pay you AND we have to feed you AND we need money to continue our work.). I know of one Charity school with far fewer children than we have and nothing like as desperately poor as we are; they not only charge hundreds of dollars a week but also insist on a donated computer and bicycle! Contact me with your needs or details and we’ll work out an itinerary, plan and cost.. Again an example – You might want to stay with us for two weeks but will have arrived from Thailand, you’d like a two days at Angkor Wat (who wouldn’t?) obviously need all transport and food and then continue a South East Asian Experience to Laos or Vietnam. – We are as remote and as genuinely in desperate need as anywhere on the planet so visiting us is not just NEEDED it is also a life changing experience for everyone involved. Like I said, we look forward to seeing you one day SOON. – Please – help us today with the three classroom building and then come and see it – THEN jump right in (everyone does) and help us in the school and through the villages. 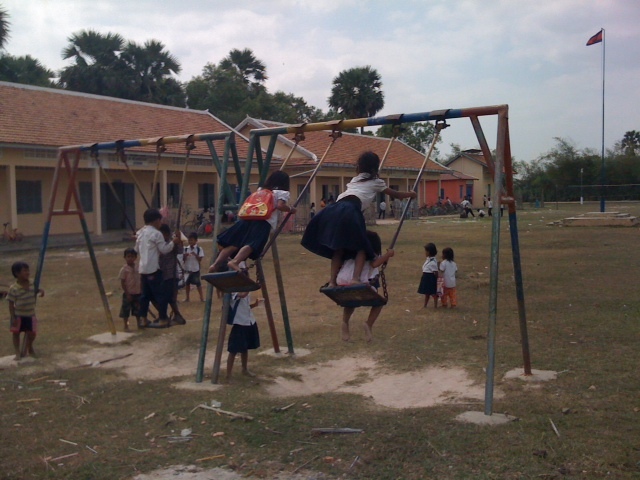 Our Schools are fed by twelve villages and the six around the main School, the Chuor Ph’av School, are considered six of the poorest in all Cambodia. They need our help to learn how to thrive. BUT at the same time we learn a lot about what is almost a traditional, but very malnourished, medieval VILLAGE LIFESTYLE. – So, please, help us urgently with classrooms – and – come to see us..
PS. If you scroll down to the update immediately below this one – entitled ‘August 2016 ….’ – you will read about our wonderfully enthusiastic School Graduate, Rotana and her proposed English lessons. Rotana has started; its a trial through the School holidays with desks borrowed, for now, from the main school. It is proving so popular, she’s got three of her friends helping her – it is basic written and spoken English. – Enough for today, John.